Prisoners' Struggle Against "Cruel and Unusual Punishment Amounting to Torture"
A special feature of Revolution to acquaint our readers with the views of significant figures in art, theater, music and literature, science, sports, and politics. The views expressed by those we interview are, of course, their own; and they are not responsible for the views published elsewhere in our paper. Carol Strickman is a staff attorney at Legal Services for Prisoners with Children, a San Francisco-based organization which advocates for the human rights and empowerment of incarcerated parents, children, family members, and people at risk of incarceration. She is a member of the Prisoner Hunger Strike Solidarity Coalition, a member of the team mediating between the prison hunger strikers and prison authorities (the California Department of Corrections and Rehabilitation—CDCR), and part of the litigation team in Ashker v. Brown, a case filed by the Center for Constitutional Rights challenging solitary confinement in California prisons, now being argued in federal court. This interview was conducted June 27, 2013. Larry Everest: The June 20 communiqué from the principal prisoner representatives from the Pelican Bay State Prison (PBSP) SHU Short Corridor Collective Human Rights Movement stated they'd just held a mediation session with prison officials, that their demands hadn't been met, and so they felt compelled to resume their "hunger strike/work stoppage of indefinite duration until CDCR signs a legally binding agreement meeting our demands, the heart of which mandates an end to long-term solitary confinement (as well as additional major reforms)." I want to begin with some background on the basic issue—long-term solitary confinement. Your organization has been providing services for prisoners and their families for many years, and you've personally visited Pelican Bay State Prison and the SHU (Security Housing Unit) Unit eight times in the last two years. I just saw a film clip of an inmate in the Pelican Bay SHU who talked about not having seen the moon or stars since 1998. Can you help readers understand what the conditions in the SHU are like, and what prompted the two prisoner hunger strikes in 2011 and now another one scheduled to start July 8? Carol Strickman: There's a horrible, near total, lack of human contact. 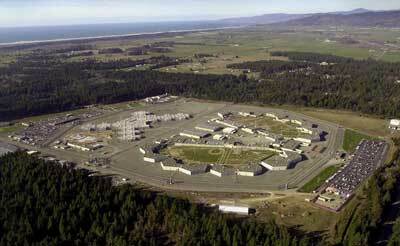 The Pelican Bay is divided into "pods" of eight cells with a total of eight prisoners each—four up and four down. There are a total of 1,056 SHU cells divided into 132 pods. Prisoners are confined to these 8' x 10' cells for 22 and a half to 24 hours a day—without natural light, without being able to look outside the prison walls. They are allowed showers and solitary exercise in what prisoners call the "dog run." Someone in a control booth, which controls six pods, just pushes a button and their cell door opens. Then they are monitored on closed-circuit TV, and are told when time's up and they have to return to their cell. There's no meaningful human interaction. Prisoners may have brief conversations—shouting to each other as they walk down the tier to get to the shower or exercise area, sometimes to people in other pods. They also communicate by shouting to each other through the slots in their cell doors, perhaps they catch a glimpse of other prisoners from time to time. So there's a very limited ability to have conversation. The guards bring food twice a day; there's a food slot in the door and a tray gets shoved through (the same slot prisoners put their hands through to get handcuffed if they're leaving the pod). You could have a word with the guard who comes to the cell then, or when mail gets delivered through the slot at night. And then once every couple of weeks some psychologists come through asking if everyone is OK. So there is some very minimal contact with staff in that way, mostly verbal contact—but again, there's a terrible lack of any normal human contact. Another thing I've learned is that none of the SHU prisoners get a good night's sleep. These are big cavernous areas, without carpets on the concrete floors and with very big, heavy doors. Guards come in and out, open and close doors, clomp up metal stairs, rattle keys, and shout to each other. So it's very noisy during the night. In our lawsuit we cite chronic sleep deprivation as being part of the cruel and unusual punishment that prisoners are subjected to, due to the whole structure of the SHU pods. And, as you say, there is virtually no ability to experience anything in nature; there are virtually no educational, vocational or self-help programs; and family visits (which are rare because of the distance that families must travel) are conducted behind glass. Family visits are recorded; social mail is read. All this constitutes cruel and unusual punishment amounting to torture. Everest: How many prisoners in the state of California are locked up in these Security Housing Units or other forms of solitary confinement? Strickman: Legal Services for Prisoners with Children recently did an assessment based on CDCR statistics. As of the end of March 2013, there were 3,941 prisoners in SHUs (3,820 men and 121 women), and another 6,251 in Administrative Segregation, or Ad Seg. (Ad Seg—often called "the Hole"—can be long- or short-term isolation in which prisoners are deprived of regular human contact, phone calls, and contact visits, and subject to other restrictions.) 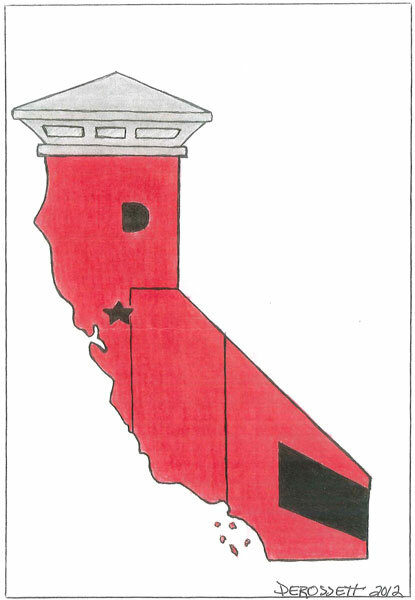 So that makes a total 10,192 prisoners in solitary confinement in California alone. I understand that there are another 70,000 or so in solitary confinement in prisons across the U.S.
Everest: The 2011 California prisoners' hunger strikes—one from July 1 until July 22, the other from September 26 until October 13—were very powerful. You were telling me that during the first hunger strike 6,600 prisoners took part, and in the second 11,900. I think we both feel this was an unprecedented and extremely significant struggle. At the time, the prisoners put forward five core demands—eliminate group punishments; abolish the debriefing policy and modify active/inactive gang status criteria; comply with the recommendation of the U.S. Commission on Safety and Abuse in Prisons (2006) regarding an end to long-term solitary confinement; provide adequate and nutritious food; and expand and provide constructive programs and privileges for indefinite SHU inmates. They ended their second hunger strike when the CDCR promised meaningful reform. However, the prisoners' June 20 statement sums up, "For the past  years we've patiently kept an open dialogue with state officials, attempting to hold them to their promise to implement meaningful reforms, responsive to our demands. For the past seven months we have repeatedly pointed out CDCR's failure to honor their word—and we have explained in detail the ways in which they've acted in bad faith and what they need to do to avoid the resumption of our protest action." Could you explain what the CDCR has done—and not done—to address the prisoners' demands? Strickman: What people need to know, first off, is that long-term solitary confinement at Pelican Bay is horrible because the conditions are so extreme. So the prisoners' demands are significant—they are not just asking for little things, or just small changes. 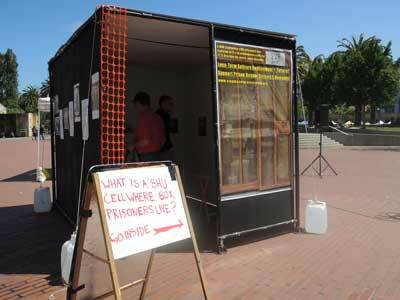 The prison authorities agreed to some of the prisoners' smaller demands, and they've implemented some. They've provided prisoners hats for warmth, balls to bounce in the exercise area, and photos taken of themselves—things which were banned before the hunger strike, and allowed proctored exams for those who can pay for college courses. And when you're in the SHU, even a little thing is big. But in terms of the major issues—like changing rules for how someone gets into the SHU and the evidence used to put people there, or long-term solitary—there's been little done. They promised to revise their gang validation regulations—that's the main way people get sent to the SHU, being "validated" as a gang member—and they've done some things on that. The prison system did say they were going to go around and evaluate those in the SHUs to see if they should remain, given that there's new criteria: under the new regulations, being a member of a designated group is cause for being sent to the SHU, but being an "associate" is not. And the CDCR needs a little more evidence to send someone to the SHU than they do now. They used to need three pieces of "evidence." But now they have a somewhat different formula under which various pieces of weighted evidence have to add up to 10 points. So they've set the bar a little higher, and they're going through and looking at associates and evaluating whether they should be in the SHUs. At Pelican Bay, for example, around 75 percent of those in the SHU are "associates" not "members." And the CDCR has reportedly determined that more than half of all SHU prisoners should be released to general population—and some have been. The prison authorities are touting these statistics as showing their new program is really different. But what it shows is how bad the old system was. None of these changes would have happened without the 2011 hunger strike, and the prisoners' demands and support they got. So some people who have been in for decades are now getting out—but they never should have been in the SHU to begin with! I'm not confident the new system will end up much different than the old one. The CDCR claims it's now behavior-based, not based on associations, but when "behavior" is simply having artwork in your cell that supposedly proves you're in a gang and then being locked up in isolation for it—well, we shouldn't have that kind of system. And they're still doing that—locking people up due to artwork. They may have moved a little bit because of the last hunger strike, but there's still a long way to go. And in some ways, the new gang validation policy is worse, or potentially worse, than the old one. The previous validation policy targeted members or associates of seven prison gangs. Now the authorities say they won't limit themselves to those seven, but may also identify other "security threat groups"—which could have as few as three people. So a few prisoners—perhaps friends from the same neighborhood—could be identified as a "security threat group," labeled a street gang, and then sent into solitary confinement. As far as I know, the CDCR hasn't gone through the process yet to establish one or more new "STGs," but creating a means for doing so expands the net of those who could go into those horrible isolation units. Everest: Are all the prisoners in the SHU through gang validation? Strickman: Most are, but not all. Selling dope can send you to SHU—not on gang validation, but serving a "straight SHU sentence," for a fixed, not indefinite, period. The longest straight SHU sentence is five years for killing a guard, or three years for killing another prisoner. Everest: Wait—You're telling me that if a prisoner kills a guard, they get five years in the SHU, but if they're "validated" as being a gang member—without committing any violent action against a guard or another prisoner—they can be sent to the SHU for decades? Strickman: Exactly! Prisoners are in the Pelican Bay SHU for 20 to 30 years for nothing more than having drawn art which supposedly shows they're gang members or associates. Everest: This hits me as such a striking example—that these SHUs are not about "crime prevention"; they're really a counter-insurgency program, aimed at different social groups or organizations—a counter-insurgency before the insurgency, so to speak. This is something Revolution has written about, as have groups like the Stop Mass Incarceration Network and Michelle Alexander in her book The New Jim Crow. Strickman: It's like the criminal justice system: They don't care if you're innocent or guilty. There's something about having this system—it's just a voracious system, and having the control as you say that is abusive and has nothing to do with truth or honesty. The whole thing is very distressing, the whole thing. It's so cruel, the living situation is so mean-spirited. Some prisoners say, I know you're going to keep me here, but you have to give me some way to live a meaningful life. The CDCR wants people to think they've made significant changes, but the prisoners feel they haven't. It's not all that different than before. The authorities did not make the big improvements the prisoners were led to believe they would get. And the terrible conditions of confinement have hardly changed at all. Many are still facing decades of long-term solitary confinement. So that's the reason for the renewed hunger strike. Everest: I recall after the last hunger strike the CDCR did punish, really retaliated against, the hunger strikers. And recently I've seen some of your emails concerning very troubling ways the authorities may be preparing to retaliate against the hunger strikers this time around. Could you talk about that? But what's troubling now is news that the prisons may start doing checks of the cells every 30 minutes (rather than every four hours as is the current practice). It is not yet clear whether this will actually be implemented, or what exactly it means, but there is talk that they'll implement this in connection with rolling lockdowns, which would be another escalation in the deprivation inflicted on prisoners. A lot of different reasons have been offered for this—it's very hard to figure out exactly what the CDCR is actually doing or planning, but it could mean that on some days staff would be shifted so prisoners wouldn't get showers or exercise that day at all. They'd get it the next day, but there would be less time for everyone. It's troubling. We have a hunger strike looming for July 8, and CDCR issues a memo out of the blue for these 30 minute security checks. There's real potential for abuse—bothering people every 30 minutes, doing a head count in middle of night and waking people up. Are they just flexing their muscles and trying to show the prisoners how much they can make their lives miserable right before the hunger strike? Everest: What about CDCR OP 228, the so-called "Hunger Strike Policy"? This seems to say the CDCR is going to isolate hunger strikers and cut them off from communication, including family visits or visits from attorneys unless active cases are going on. Strickman: During the July 2011 hunger strike, they allowed family visits, but in September 2011, they did not. In both cases they allowed legal visits, but this time they say they won't unless the prisoner has a pending case. That's worse. I don't see how they can do that, how it's legally justifiable. It's aimed against the Prisoner Hunger Strike Solidarity Coalition lawyers. It's disturbing because we need to know on the outside what's going on inside. That's difficult if we don't have a way to get inside and talk to prisoners. They held up my mail in the second strike; I got nothing for a while and then 20 pieces came. I believe they intentionally held up my mail so I didn't know what was going on. We do have a pending class action case, so even under their new rules we should be able to see most Pelican Bay prisoners. Everest: The June 20 statement from the prisoner representatives from the PBSP SHU Short Corridor Collective said they'd just come out of a mediation session at which the State of California refused to meet their demands. Could you fill us in—are there further negotiations planned? And could you talk about the lawsuit that prompted this mediation session? Strickman: I was actually up at Pelican Bay doing interviews with prisoners for the lawsuit on the day the mediation took place, although I was not directly involved. It was a full-day session and I think there was a serious effort to settle things, with written offers from both sides submitted to the magistrate in the case. The magistrate has since scheduled another mediation session for July 26, two and a half weeks after the hunger strike resumes on July 8. Ashker v. Brown is a lawsuit filed in federal court challenging solitary confinement in California prisons. It was filed by the Center for Constitutional Rights and joined by Legal Services for Prisoners with Children, California Prison Focus, Siegel & Yee, and the Law Offices of Charles Carbone. Earlier this year the Ninth Circuit trial judge ruled against the State's motion to dismiss the case, allowing it to go forward. This was an important ruling. We've filed a motion for class certification so that the case would cover not only the 10 named plaintiffs in the original filing, but everyone in the Pelican Bay Security Housing Unit (SHU) either through gang validation or those in the SHU for 10 years or more. Now we're in the process of fighting for class certification, which would broaden the case and have important potential implications in the struggle against solitary confinement. Everest: Given everything you've told me, what's amazing and inspiring is that all this abuse and inhumane treatment has not succeeded in breaking the will, humanity, or spirit of the prisoners, or their determination to fight for justice. And the "Agreement to End Hostilities," issued by the Pelican Bay Short Corridor Collective and the Representatives Body on August 12, 2012 also demonstrated how they're working to break out of the situation the system has put them in and putting their lives on the line to improve the situation for all prisoners. So could you tell us your sense of how this coming hunger strike may be shaping up? 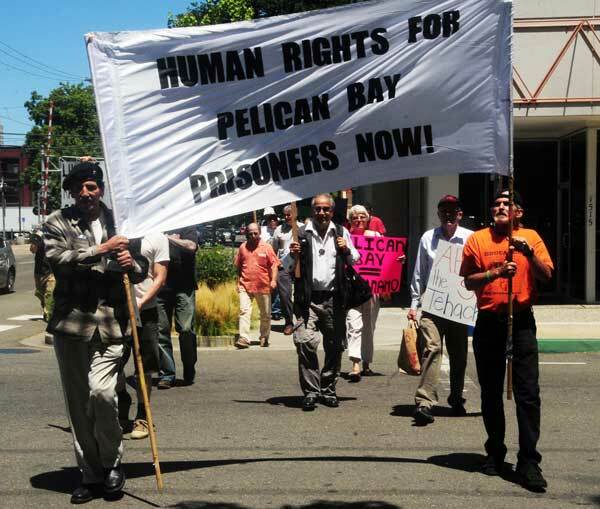 Strickman: Pelican Bay prisoners issued a statement in December 2012 or January of this year making 40 additional demands and inviting prisoners in other prisons to write their own demands. So far, six other prisons have issued written demands to the governor or the wardens. These are High Desert, Wasco, Salinas Valley, San Quentin Death Row, New Folsom, and Corcoran. I think these demands all build on the five core demands from the 2011 strike, but these are other issues, in some cases very practical, small-scale issues, which are part and parcel of making prisons more livable and more useful to people. This shows more organizing in advance than we were aware of last time. It suggests the hunger strike could be bigger this time. And this time people have known about the July 8 date for months. But it's hard to know how big it may end up being, relative to the previous hunger strike. Everest: Thanks much for your time. I really learned a lot from this and I'm sure our readers will as well.